For the last number of years televisions have been getting smarter and more technology has been added in to make a more attractive option for the consumer. Seen as something of a giant smartphone we have seen 3D displays, cameras and Skype integration, planners, social media taking a central position of the specifications list. Panasonic have been trying to keep up with the competition but developing a user friendly front end with an app system for their Viera range. This year it’s all change. In a commendable effort Panasonic are focusing their expertise on picture quality and leaving other bells and whistles to 3rd parties. Announcing two Viera televisions at IFA 2015 in Berlin this year Panasonic are pushing to be second to none when it comes to image quality. A position they are easily going to achieve. Roving around the competitions at IFA it seems a lot of the other companies are interesting in two things, 98” behemoths or degrading the quality of the previous model to make their new line look all the more impressive, some companies more obviously than others. Panasonic opted to hang their latest panel beside a top end master screen used by Hollywood professionals for precise colour representation. A … move however an impressive one as the screen holds up to the superior picture of the master screen and help illustrate just how close you can get to an uber expensive professional master screen for the living room. Leaving the smart end of the TV’s front end to Mozilla and their delicious Firefox OS Panasonic have put all of their efforts into the screen technology and getting the most out of the panel. 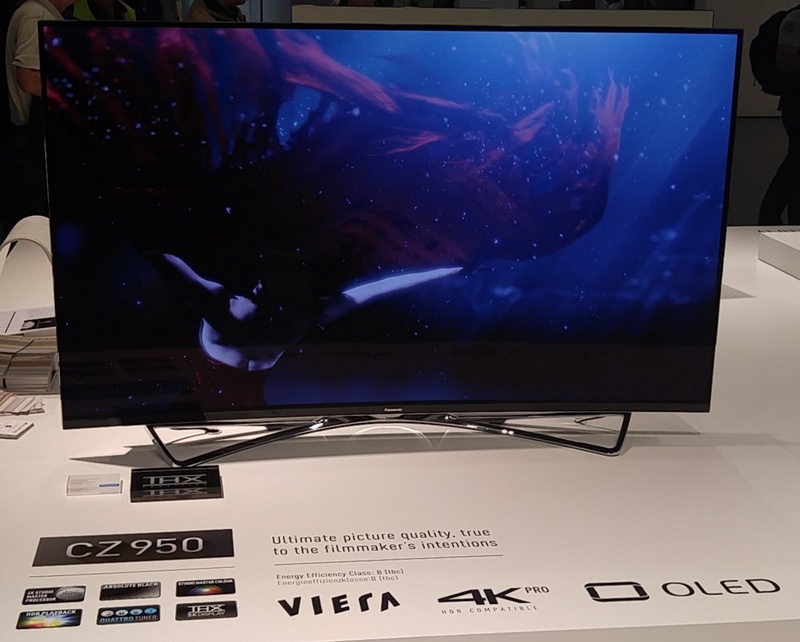 The result is a mesmerizing curved OLED 4K Pro display dubbed CZ950. 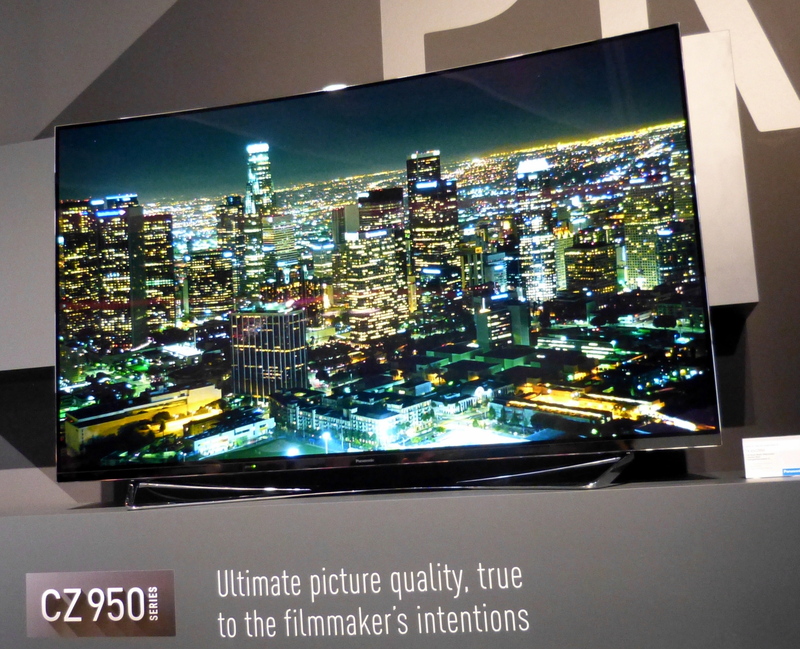 This is a real step forward for Panasonic having moved away from the Plasma and into the OLED field. Working with veteran Hollywood colourist Mike Sowa Panasonic are confident they have gotten their palette as close to the director original intention as a display can. hiding inside the beautiful panel chassis is the magic processor that makes it all possible, the 4K Studio Master Pro processor. This is the mastermind behind the picture representation on the panel. Combined with the tuning from Hollywood experts the panel to creates the best picture quality and colour palette. OLED creates an amazing black level due to the lack of a back light. Each Organic pixel LED light up on it’s own allowing the processor to control each and every pixel leading to unparalleled colour reproduction. This is the first 4K television to have the THX 4K certification, meaing the boffin’s at George Lucas’s THX labs have applied over 600 tests for colour accuracy and the panel has passed. 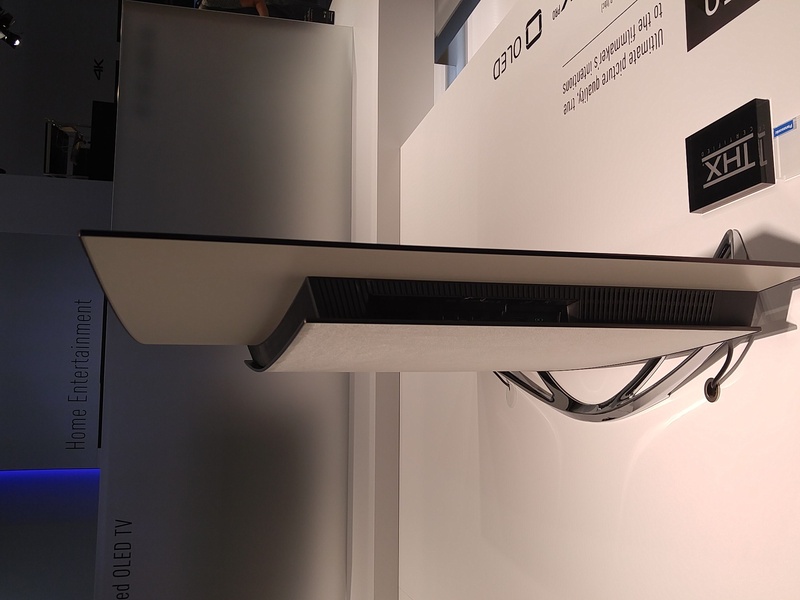 To compliment the panel’s success Panasonic have gone the extra mile and designed a television that is beautiful when turned off. The rear of the panel is draped in a luxurious suede-like material called Alcantara. Additionally the screen is a mere few millimeters thick. Panasonic Viera TX-65CZ950V is a sight to behold, combining amazing picture quality, stylish looks and a massive picture in a small footprint this is the high end TV people have been looking for an certainly deserves a place at the top of the league. We will see this in store on October in the UK with RRP of £7,999. 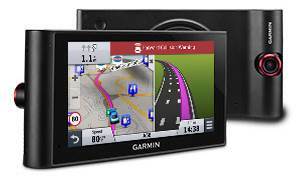 Garmin International Inc., a unit of Garmin Ltd. has launched the nüviCam, the first portable navigation device (PND) to feature a built-in dash cam and advanced alerts to enhance driver awareness on the road. Thanks to the integrated dash cam that continuously records and automatically saves files on impact, the nüviCam offers the protection of having an eyewitness that records exactly where and when events occurred. One of the most comprehensive sat navs to ever hit the roads, the nüviCam offers the latest in premium driver-assist features typically found only in luxury vehicles. For example, Forward Collision Warning2 alerts drivers if they’re driving too close to the car ahead; Lane Departure Warning2 alerts will appear and sound if the driver drifts off the road or into oncoming traffic; and Garmin Real Vision™ takes the guess work out of deciphering hard-to-see house numbers by displaying the camera view along with a bright arrow to direct drivers where to go when approaching select destinations. Other navigation features offered with safety and convenience in mind include voice-activated navigation that allows drivers to speak commands to the device while their hands stay safely on the wheel, and Bluetooth® wireless technology for hands-free calling (requires Bluetooth-enabled smartphone sold separately). Smartphone Link, a free mobile app that connects nüviCam with a compatible iPhone® or Android™ smartphone, can also provide real-time data services3, such as weather or safety cameras to the sat nav. Drivers can even pair the nüviCam with the Garmin BC™ 30 Wireless Backup Camera (sold separately) to see what’s behind their vehicle when they reverse. To make sure drivers never miss a turn, the nüviCam utilises Active Lane Guidance, which uses a combination of voice prompts and visual cues to prepare users to drive through an exit or interchange with confidence. “Up Ahead” appears alongside the driving map and constantly informs of nearby services, including restaurants, fuel stations and rest areas, and spoken Garmin Real Directions™ guides drivers like a friend would, using recognisable landmarks, buildings and traffic lights. Additional features included are speed limit warnings, school zone warnings, PhotoReal Junction View, Bird’s Eye Junction View and preloaded Foursquare® data that adds millions of new and popular points of interest like restaurants, shops and more. The Garmin nüviCam has a suggested retail price of £309.99. For more information, visit www.garmin.com/nuvi.